This is the least stable game I have seen, it can't even go 5 seconds without force closing. A monkey could have made an app with more stability. If my &? (@?,@ iPhone would let me, I would rate it zero stars. Awesome ps if you are weeree where do i live then.....>:-) Mwahaha! Well, I like what it has. I love the Halloween Theme Song! As you probably know, I'm a werewolf. Vamps and werewolves are actually not enemies. Vampires are actually part of the reason that werewolves exist. 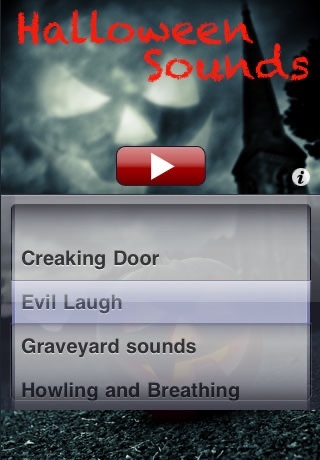 My brother is a vampire, and he and I would like this app better if you had vampire sounds. That's -1 star. 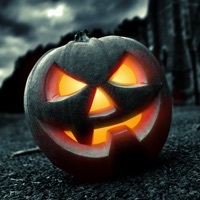 The scary laughing doesn't sound like laughing at all, it sounds like me attacking an antelope. And what's the flat part supposed to be at the beginning of psycho organ? And it repeats! How is that supposed to scare even a baby?-1 star EDIT: Deleted. Feels good to have this app off my back. Now, I like the app, but there are some things you need to edit. Then, and only then, will I give you 5 stars. -WerewolfGirl8 PS-Happy Summer Vacation, Kids!! !